A loan of $3,975 helped a member to purchase ingredients for making food to sell. Doña Ofelia is part of the "Unión y Amistad" [Togetherness and Friendship] Group. It's a group located at the border of the Mexican states of Michoacán and México. It is a heavily vegetated indigenous Mazahua region where the people care for and protect the forests from gangs of illegal loggers. 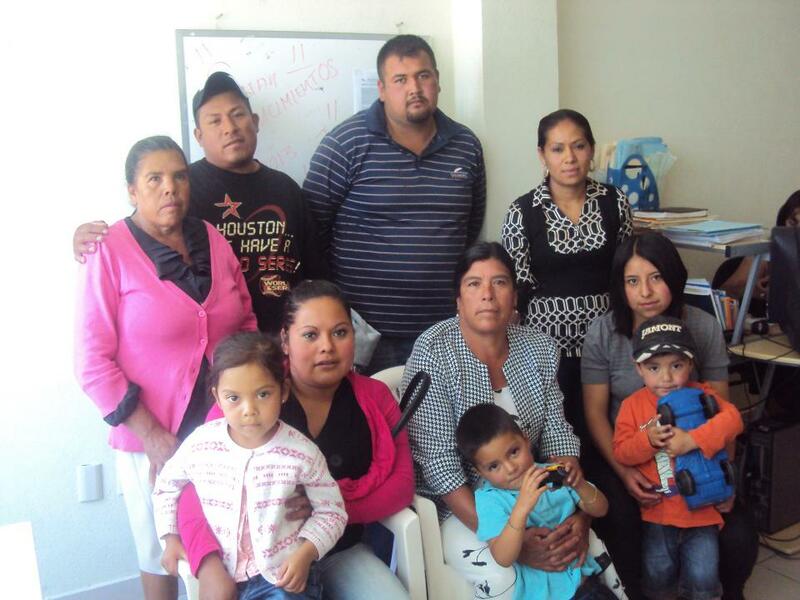 Doña Ofelia has had a school cooperative in her community's secondary school for five years. She says that she likes her work very much because she takes care of the meals for the kids in the school. She says that every day she makes them different types of stews and that one of her daughters helps her make the meals for both the students and the teachers. She also sells fried foods, cold drinks, flavored waters, and snacks, which she buys in the town of Zitacuaro, where she can buy them more cheaply; various soft-drink distributors deliver to her town. Now Ofelia is requesting a loan for the purchase of ingredients that she uses to make meals, as well as fruit, since she also sells nutritious breakfasts like fruit with granola and yogurt. She also wants to buy new plates so she can better present the food that she sells. She says, smiling, "the satisfaction I have in selling food is that the kids seek me out so I can give them a nutritious lunch, and that fills me with pride because there are people who come to sell junk food, but they are loyal to me." Ofelia says that her dream is to remodel her business and install larger benches to give better service to the kids at the secondary school. The other members of the group are named Lidia, Marisol, Fabián, Gilberta, Sandra, and Juan Carlos. They will invest their loans in the following: the purchase of sheep and feed for raising them for sale; the purchase of women's and children's clothing to sell; the purchase of seasonal fruits and vegetables; and the purchase of nutritional supplements to sell. Translated from Spanish by Kiva volunteer Holly Torpey. View original language description.